AG Run For A Reason: Saturday, September 22nd! 100% of Proceeds go to Charity! AvantGuard Monitoring Centers is happy to announce that their annual AG Run for a Reason is back and better than ever. Each year, AG team members nominate families from the community who are experiencing financial and medical strains. The AvantGuard 5k Committee selects a single family to be the beneficiary of the fundraising efforts. AvantGuard host this race each year for the benefit of paying-it-forward. 100% of the proceeds and donations of the race go to the families help with medical care expenses. This year the benefits are going to Brianna Friend. A wife and mother from Rexburg, Idaho. Brianna was diagnosed with Thyroid cancer only one month after having her son. 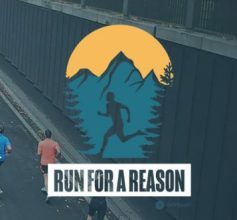 Register online today at www.agmonitoring.com/ag-run-for-a-reason-5k-ogden and hear more about Brianna’s story or see their Facebook event at AG Run For A Reason – Rexburg. The race will be held on Saturday, September 22nd at Evergreen Park. Racers will receive a t-shirt and race packet. Donations can be made through the runnercard page, or by check. Please make checks payable to AvantGuard Monitoring Centers with “5K” in the memo line. Send to: P.O. Box 150224, Ogden, Ut. 84415 For questions about the race, email 5k@agmonitoring.com.